^ Considine, Douglas M.; Considine, Glenn D. (1985). Process instruments and controls handbook (3 ed.). McGraw-Hill. pp. 18–61. ISBN 0-07-012436-1. https://books.google.com/books?id=kt1UAAAAMAAJ. ^ a b オットー・ノイゲバウアー The Exact Sciences in Antiquity. Princeton: Princeton University Press, 1952; 2nd edition, Brown University Press, 1957; reprint, New York: Dover publications, 1969. Page 82. ^ 例えばウィリアム・シェークスピアの『ハムレット』に、次のような一節がある。" ... to thine own self be true, And it must follow, as the night the day, Thou canst not then be false to any man." ^ Farmers have used the sun to mark time for thousands of years, as the most ancient method of telling time. ^ 肉眼#天文学として#肉眼による天体観測は、1609年にガリレオの望遠鏡による観測で廃止された。 Galileo Galilei Linceo, Sidereus Nuncius (星界の報告) 1610. ^ http://tycho.usno.navy.mil/gpstt.html http://www.phys.lsu.edu/mog/mog9/node9.html Today, automated astronomical observations from satellites and spacecraft require relativistic corrections of the reported positions. ^ S. R. Jefferts et al., "Accuracy evaluation of NIST-F1". ^ Fred Adams and Greg Laughlin (1999), Five Ages of the Universe 0-684-86576-9 p.35. ^ Charles Hose and William McDougall (1912) The Pagan Tribes of Borneo, Plate 60. Kenyahs measuring the Length of the Shadow at Noon to determine the Time for sowing PADI p. 108. This photograph is reproduced as plate B in Fred Hoyle (1962), Astronomy: A history of man's investigation of the universe, Crescent Books, Inc., London LC 62-14108, p.31. The measurement process is explained by: Gene Ammarell (1997), "Astronomy in the Indo-Malay Archipelago", p.119, Encyclopaedia of the history of science, technology, and medicine in non-western cultures, Helaine Selin, ed., which describes Kenyah Tribesmen of Borneo measuring the shadow cast by a gnomon, or tukar do with a measuring scale, or aso do. ^ Watson, E (1979) "The St Albans Clock of Richard of Wallingford". Antiquarian Horology 372-384. 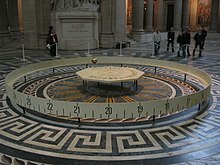 ^ Jo Ellen Barnett, Time's Pendulum 0-306-45787-3 p.99. ^ アイザック・ニュートン 1687 page 738. ^ エルヴィン・シュレーディンガー (1945) What is Life? 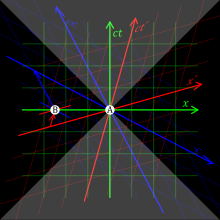 ^ John C. Mather and John Boslough (1996), The Very First Light 0-465-01575-1 p.41. ^ Prigogine, Ilya (1996), The End of Certainty: Time, Chaos and the New Laws of Nature. 0-684-83705-6 On pages 163 and 182.